Let’s take trip ’round the world, retro style, shall we? 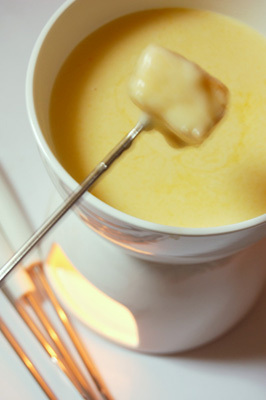 Haalo from Cook (almost) Anything at Least Once offers a delicious “uber retro, Swiss-classic, fondue” perfect for any well-heeled jet-setter. The recipe hails from Graham Kerr’s classic 1973 cookbook, The Complete Galloping Gourmet Cookbook. 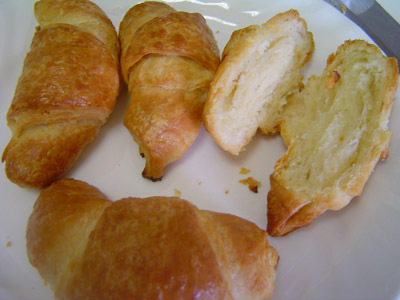 Retro pro Emily at Appetitive Behavior visited France via Hungary (read her post for the details) to create “Flaky, uberbuttery, layer-y, crisp on the outside and soft inside, and all told pretty darn awesome [croissants].” They look fabulously French (yet make me hungry for Hungary). The recipe comes from the Illustrated Good Housekeeping Encyclopedic Cookbook, 1965, Vol. 3. Theresa at Vintage Style Files (a woman & blog after my own heart) took a tour of the orient with her gorgeous Tokyo Salad. It’s a “spicy Asian shrimp and noodle” salad hailing from Kitchen Fare, International Menus Cookbook, just the kind of book that inspired the RRC No. 7’s theme. Tara at the hilariously named Should You Eat That? (have you been looking in my fridge, Tara?) 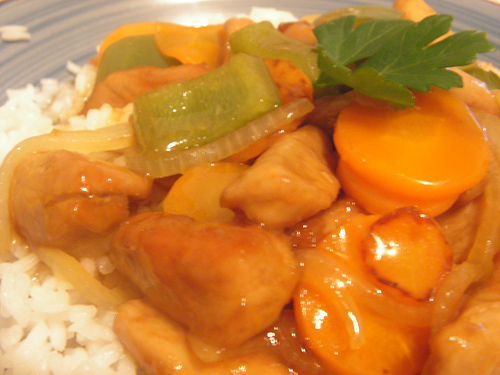 tantalizes the taste buds with Sweet and Sour Pork. She found a classic irony in retro recipes: turning something healthy into food that could take down an elephant. 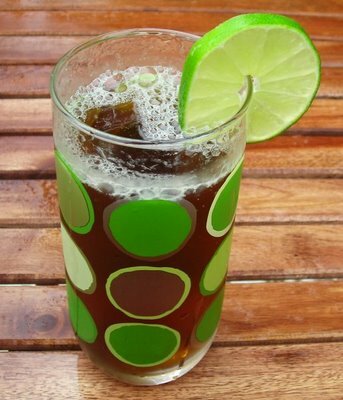 Rachel at Coconut and Lime whets the palate and wets the tongue with her fizzy Moscow Mule, which is “credited with having popularized vodka in the United States” during the 1950s. Having recently been to Russia, I can definitively say the Moscow Mule is vast improvement over the traditional Russian summertime drink, квас (kvas). 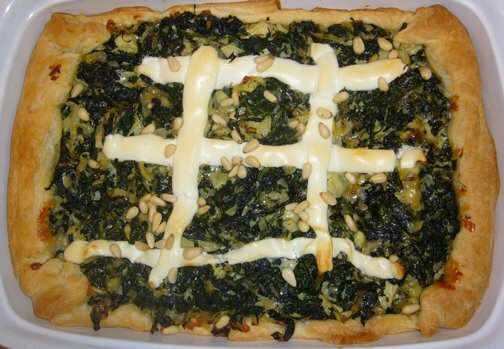 The Expat Chef in The Expatriate’s Kitchen takes a turn updating a classic favorite, Spinach Artichoke Dip, with her Spinach Artichoke Tart in Puff Pastry. If you’re interested in hosting the next round of the Retro Recipe Challenge, please drop me a line!